Dean Wareham – musician, author, actor and a co-inventor of the ‘shoegaze’ aesthetic – is coming home to Australia. 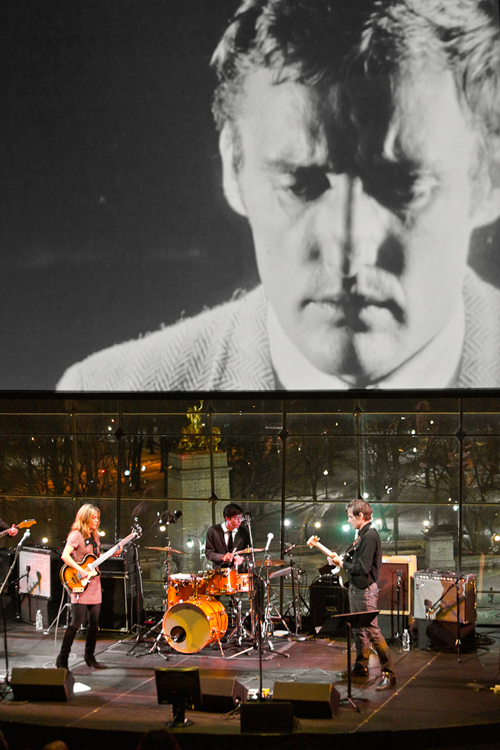 This month, he, his partner Britta Phillips, and band will be touring Australia and New Zealand playing entire sets from seminal rock band, Galaxie 500, 19 years after their demise and first-ever shows in Australia with their songs. In 2008, Wareham published a poignant, atypical rock-n-roll memoir. 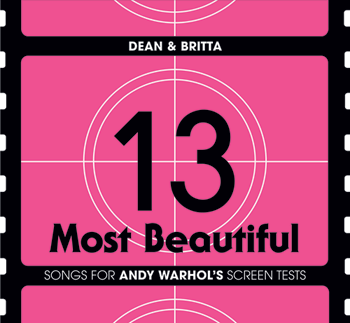 In recent years, he has toured the world as composer to and the face of Andy Warhol’s Superstars. Coerced Lou Reed to play on records and opened for Velvet Underground tours. Along the way, there’s been some acting gigs. Law & Order anybody? Most importantly, his tenacity and persona-polishing sees him sitting pretty in a most well-appointed catbird seat. Kent MacCarter: How did a boy from Wellington, NZ – with early teenage years in Sydney – become the heir apparent to Andy Warhol’s Superstars, the Velvet Underground and the epitome of New York ‘cool’? Dean Wareham: I don’t know if I’m cool or not; that of course is highly subjective, and it’s hard to say why life turns out one way rather than another, but I was fortunate that my parents moved, first to Sydney (in 1970), then to New York City (in 1977). One of my teachers at Sydney Grammar School told my parents they were making a terrible mistake by taking me to New York, but it was a fortuitous time to arrive there. The city was bankrupt of course but culturally there was a lot going on, it’s a great place to go to high school, a great place to see shows by the Ramones, Blondie, Talking Heads, Suicide, B-52s, the Specials, Grandmaster Flash, Pere Ubu… I studied art history at the Metropolitan Museum of Art (though I also remember Robert Hughes’ The Shock of the New making a big impression on me). You were born in Wellington, New Zealand, but moved to Sydney for your early teenage years. Is there any Sydney-sider left in you? I lived in Sydney from age 7 to 14, so in a way it will always feel like a home, though at this point it’s a home I don’t know very well. How did it feel to come ‘home’ – even in a distant sense – to play at the Sydney Opera House in 2010? Very strange, for a few reasons. There aren’t any venues more iconic than the Sydney Opera House. I was there in a boat in Sydney Harbour the day it officially opened. But the strangest part of that trip was being picked up at the airport and driven to our hotel, which was located directly across the street from St Andrews Church in downtown Sydney. I attended St Andrews school in 1973 and 1974 (before moving on to Sydney Grammar), so I was surprised to be right back on that street. I walked around looking for the old school building, but I couldn’t find it; it turns out that building had been torn down and replaced by the Medina Hotel we were staying in. So of course this felt a little surreal, like something that would only happen in a dream… going back to the old school but it’s not there anymore and instead I’m staying in a hotel with my wife and performing at the Opera House. Considering all the places that you’re ‘from’ and the steady diet of touring over the past 20 years in countries such as Uruguay, Switzerland, Portugal, Japan, a certain worldliness in inevitable. You’re an American citizen who has had the opportunity to ‘see’ America from outside the myopic prism that American news media is… and from within the vantages of many ‘elsewheres’. I often think back to the Bush-Gore Florida recount in 2001. Things could be quite different right now for America – especially attitudes about it – with just a whisper of difference back then. Maybe you are right. Bush and Cheney took the country down a dark hole, and we are still suffering the consequences. But we have a Democrat in the White House now and we’re still in Iraq, Afghanistan and Guantanamo Bay. Would it have been so different under a President McCain? The truth is things change pretty slowly. Your book, Black Postcards, reflects far more lines and lines of poignancy than it does cocaine, strippers’ g-strings and bent television antennae – the typical fodder of rock memoir excess. There’s no wall of guitar to hide behind in writing, let alone memoir. Was that difficult to come to terms with? Having a book out there, forever to be in the public sphere? Well yes, there were times I asked myself if I really wanted to reveal so much about myself. But hopefully that’s what makes the book interesting, that I chose to include things that are potentially embarrassing or humiliating, instead of just writing about how clever we all were and what fun we had. Your memoir was written by you and only you. There is no ‘with’ author noted in the way that Anthony Kiedis’ Scar Tissue or Keith Richard’s Life do. How did you find the process of writing for the page on the topic of yourself versus writing for the ear on the topic of… whatever? I found writing the memoir much more difficult than writing songs. 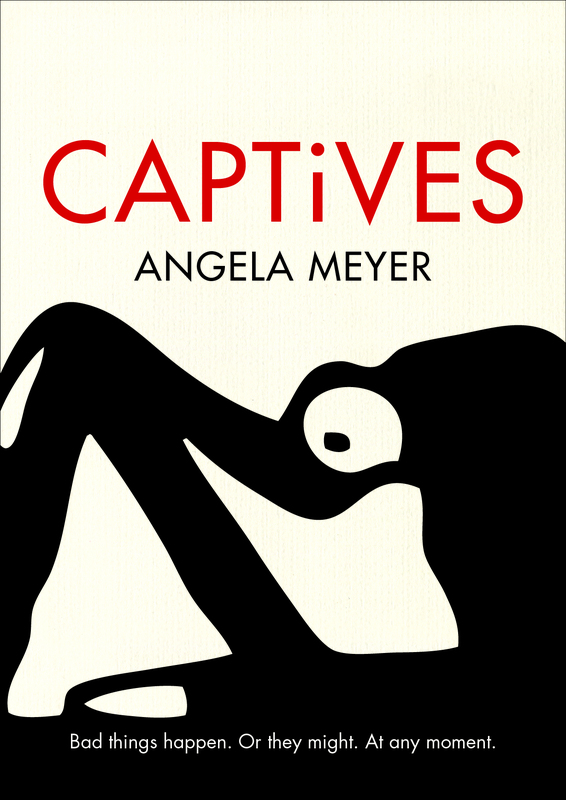 It gave me a new appreciation for what journalists do – for anyone who writes non-fiction. Because it takes some guts to figure out what you think and put it in writing, to express opinions on real life, as opposed to hiding your feelings behind poetry or cryptic lyrics. Editing oneself into a second and third draft of a MS is agonising. How much did you leave out? I left out plenty. But I didn’t find it so difficult. You have to have some concern for the overall pacing, and realise that by removing certain stories you improve the flow of the book. I figure if I told five stories about crazy nights, well, that’s enough to get the picture. I don’t have to confess to every single crime. I find many musicians are intrigued, beguiled even, by the advent of themselves (or friends) becoming published in book form… almost as if it’s a loftier, more hallowed medium to achieve than say, releasing songs on CD, Mp3 or vinyl. Ridiculous? Or not? You’ve done both. I don’t know that it’s loftier, but it certainly takes quite an effort – and a lonely effort at that – to complete a book. How many people do you meet who tell you they are working on a book, or would if they had time? Do you have any desire to write another book that isn’t memoir? I seem to recall, in a long-ago interview you did, reading something along the lines of ‘Why does Nick Cave feel the need to write novels? Who wants to read a novel by Nick Cave?’ As a Melbourne icon, Cave certainly sold quite a few copies of his latest, The Death of Bunny Munro, here in Melbourne. Memoirs are one thing, but why do you think established artists in one medium feel the need to dabble in another? Steve Martin has found some success with his novel. Both Davids Berman and McComb (from The Silver Jews and legendary Australian band, The Triffids, respectively) put out a collection of poems to some acclaim. I’d rather read a novel by Flaubert or Fitzgerald than one by Nick Cave, maybe that’s just me. Having not read Bunny Munro, I certainly cannot pretend to know if it’s good or not. David Berman is a poet first, and only a reluctant singer and musician. Generally, I think actors make pretty boring music. But there are some who are great singers – Marilyn Monroe, Harry Dean Stanton, Richard Harris, Zoe Deschanel, William Shatner. And Vincent Gallo, though his album was savaged by the music press, I thought it was really good. He was a musician before he was a successful actor. Anyway, if I write another book it won’t be a novel nor a collection of poetry. I promise. 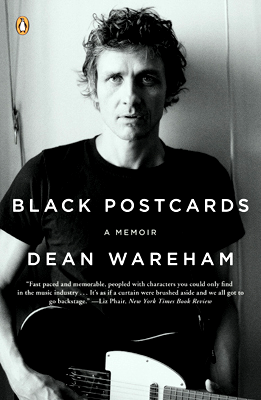 In a New York Times article, ‘Frontman’, Liz Phair said of your memoir, ‘Freddie Mercury once said, “I want it all and I want it now.” This appetite might aptly be called the rock ’n’ roll disease, and Dean Wareham seems to have caught it… Part confessional, part unsentimental career diary, Wareham’s Black Postcards: A Rock & Roll Romance reads like good courtroom testimony’. Is that a fair assessment from Phair? Well yeah I think I discuss the perils of rock and roll for your health and home life. On a long tour it’s as if you have stepped into an alternate reality. But though I had my share of fun, my transgressions were mild. Perhaps I had a mild case. And perhaps the book feels like courtroom testimony because I do lay it out there for people to judge. There are some publishers here in Australia, and likely elsewhere, that want to charge almost as much for an ebook version of a title as its print version. Do you think the ‘worth’ of a digital download – album or novel – is equal to its tangible counterpart? The distribution costs for an ebook are negligible, so according to the laws of capitalism it should be cheaper, no? Here in the States, it is the mass-market paperback that is getting squeezed – because if the ebook is only $9.99 and the hardcover is $26.99, then people are asking: do I really want to wait a year for the paperback when I can just buy the Kindle edition so cheap? Would you object to your publisher giving away an ebook version of your book for free with any sale of the print version? No I would not object, in fact I kind of think that if someone pays full price for a physical copy of your book (or a vinyl album), then why not give them the digital version as a bonus? In your book, you mentioned selling the rights to a song you recorded with Lætitia Sadier of Stereolab, ‘Bonnie and Clyde’, to US car manufacturer Cadillac for $120,000. That must’ve been pretty nice? Yes, except the entire $120k went to a record company (Warner Music Group) and a publishing company (Gainsbourg’s). I had no say in it and received no compensation. There is actually a big legal battle looming here, between artists and labels, over when (if ever) a copyright expires. According to the copyright law passed back in 1976, after 35 years the rights to recorded music should revert to the artists who created to the music. Don Henley of the Eagles is leading the charge and I hope he succeeds. In 2008, you were the emcee for one of the American National Book Foundation’s marquee events – ‘5 Under 35’ – featuring Vietnamese-Australian author Nam Le. His first collection found success in North America and Europe before it did in Australia. Your former bands Luna and Galaxie 500 found great success in Spain and the UK respectively early on before in, say, Kansas City or San Diego. Thoughts on why that happens? The UK is small compared with the United States, so it’s easier to break through initially. They have national radio stations and a strong national music press. So, if John Peel played you on the BBC and then, if NME and Melody Maker liked you, you were set. Whereas here in the States, it is a huge country and the radio is fragmented; getting played on the radio in Boston doesn’t mean anything in Los Angeles. Effectively, the only national radio station in 1989 was MTV. Anyway, it’s common for an American band to find success in England before they do at home. That’s still true today. Many of our Brooklyn bands are better known in London than in New York. As for Luna, our biggest audience was here in the USA – San Francisco, New York, Chicago, Minneapolis – but we did spend a lot of time touring Spain too. Did you find being embraced abroad, early on, assisted in getting recognition at home? The conventional wisdom is that it is good to get press in England, because radio and press in the rest of Europe (and I’m sure Australia) follow their lead. But, honestly, though Galaxie 500 were indeed modestly popular in England, we still had a devoted following in the States. We did well at university radio (which was important back then). It’s not like the band was ignored in our own time and only discovered later. The online universe has changed everything with arts – music and writing especially. Your career spans and precedes mass-use of the internet. Now, a musician or writer in Brazil can be heard and read instantly in Fiji. That just wasn’t an option until the mid-1990s. Is this a good thing? It cuts both ways. It’s great being able to research and access absolutely everything on the internet, to find obscure songs or watch the Australian band, Easybeats, on YouTube. But I hate how we’re all chained to our computers. As a musician, you’re now required to update a host of things like Facebook, MySpace, Ping and whatever else they invent each year. It’s exhausting. The music business found itself in a digital revolution in the 2000s – a mass shake-out and complete realignment of an entire racket. Print publishing remains deep in the quagmire of adapting to its digital future; what, how, when, whom and on what platforms. Were record labels forced to eat their own hubris with this change? Bono complains that there has been a huge transfer of wealth; from the record companies who sold millions of compact discs in the 1990s to the tech companies who now enable people to get the music for free and the companies who make mp3 players and computers. I’m sure there was always an element of this – electronics shops, for example, only sold LPs because they wanted to lure people in and sell them stereo systems. The music was a loss leader. And so it is with iTunes – they don’t need to turn a profit selling the music. Rather, they make money selling the devices that store the music. I have a friend who was head of Business Affairs at one of the big 4 American labels until just last year. He said he felt like he was the skipper on a slowly-sinking ship. He pointed out that if you travel up to the coast of Massachusetts, you might see waterfront estates built on fortunes made in whaling. Today, there are no more fortunes to be made whaling. And maybe no more fortunes to be made in selling compact discs. Anyway, the music biz is probably closer to the size it was back in the ’70s or ’80s. The 1990s was an aberration, a period of unprecedented super-profits for major record companies. It’s a business built on the spending power of affluent western teenagers. The teenagers are still there but they don’t pay for music. Elektra Records (who put out your first four records) insisted you include a cover of Guns N’ Roses’ ‘Sweet Child O Mine’ on you’re The Days of Our Nights album. It wasn’t a big deal. We liked the G N’ R cover (which we had recorded as a B-side), and figured if the label was excited about it then it wouldn’t hurt to include the song on the album. It was only slightly comical because after much discussion, the label decided not to release the record at all, dropping the band instead. It’s my guess that tactic was not exactly in your original plan for the release? As A. E. Knopf editor, Gordon Lish, was, controversially, to Raymond Carver and his collections of short stories in the early 1980s, can the same affect be applied to a major label insisting (and getting its way with) bands’ final records? As in, tailored to the label’s marketing brass aesthetic, not the musicians? We didn’t have much trouble that way. Our A&R people rarely interfered, and you have to expect to get at least a little bit of input when someone is giving you a pile of money to make a record. The biggest question was usually ‘who will produce your record?’ And they never forced anyone on us. Creating art by committee, art by democracy – namely members in a band – must be excruciating. I cannot imagine writing a poem with five people involved or the results of a Jeffry Smart painting with four more pairs of hands dabbling in at will to result anything other than something completely compromised. Yes, all that voting can be difficult. I’m sure it would be difficult to live on a commune too. But making music is a collaborative art form, and that can be wondrous, so that is something you have to accept. I accepted it until it became unacceptable to organise my life that way, at which point I left the band. And I guess I did this twice. But that’s part of the deal, that’s what happens to every band. You work together until you can’t work together any more. Does that sound like Yogi Berra? Yes it does! But you’re calling your own shots now and own your music. I imagine that keeps the blood pressure at a healthier level? It’s certainly easier to pick a photo for the back of the album. Or pick an album title. Or a sequence for the songs on your new album. Part two of this interview, where Wareham talks about acting, scoring films, and Andy Warhol, can be found here. Some of these questions are incoherent. Please bring back the English sentence in Part Two. As I understand it, these are questions (and answers) from a spoken interview. They may not be grammatically perfect, but they make sense. Kent has written-up the interview in a way that reflects the energy of the chat. JG: Sorry some of the questions are not working out for you. Thankfully, it’s the answers that make an interview. Thanks for reading nevertheless.